Sterile incise drape. 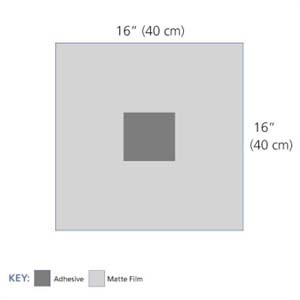 Thin, conformable, low-glare matte finish film. Aggressive adhesive with no residue. Sold 10 per box. Incise drape measures 16" x 16" with an adhesive area measuring 5" x 5". 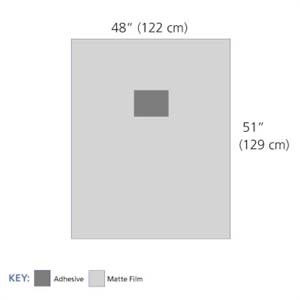 Incise drape measures 48" x 51" with an adhesive area measuring 5" x 4.5". 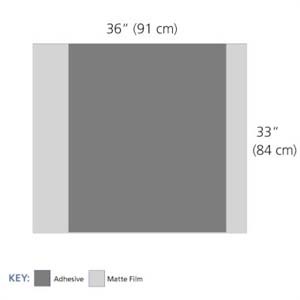 Incise drape measures 36" x33" with an adhesive area measuring 23.5" x 33". EENT mini incise drape with adhesive center. 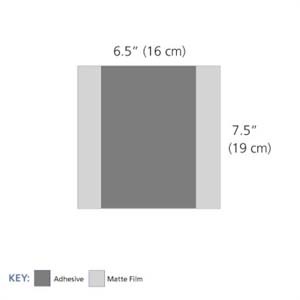 Drape measures 6.5" x 7.5" with an adhesive area measuring 4" x 7.5".